Cinema is Forever! : Not Bad At All! 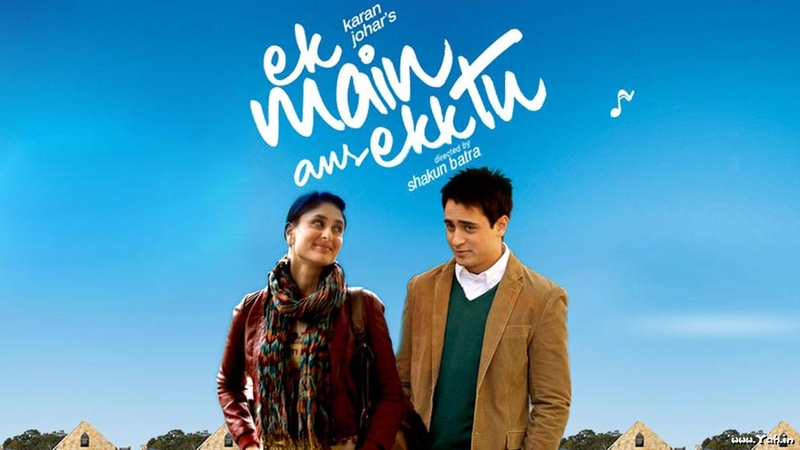 I had no reason to believe that 'Ek Main Aur Ekk Tu' could be a good film. I hated the promos and the lead pair was hardly exciting for me. I wasn't surprised when Taran Adarsh praised this film, but was when I read favourable reviews from other critics as well. Add to this that rare occasion when a friend from college is visiting you and you are tired after roaming about the city all night and do not have the energy to do anything else in the next four hours before his train takes him back. So we decided to indulge in this gamble, and watched this film with low expectations and a little hope. I was largely unaffected during the first hour of the film, despite some cool treatment by the director. I just felt that it was not as funny as the makers thought it was. But I liked the performance of the leading lady. However, post-interval, I suddenly got a feeling that things are going to improve remarkably and kind-of prophetically told my friend that the director is now going to tighten his grasp on us. We were soon involved in the film, and liked some of the scenes a lot. The masterstroke was the end. [SPOILER AHEAD] The ambiguity with which the film ended was something I truly appreciated, and ironically it gave me a feeling of contentment unlike some of my fellow audience. I overheard one of them saying, as we exited the theater - "Ye kya baat huyi? Na idhar hi rahe, na udhar hi!" But thanks to the ending, a competent direction, and Kapoor's effortless performance, I was pleasantly surprised. The only thing that remains forgettable about this film, in my opinion, is its title. I don't think I'll remember it by its title in future, but I'll recall it as "the first film by Shakun Batra". 1st Anniversary in Four Years!